Once in a while I surprise myself with my cooking skills. 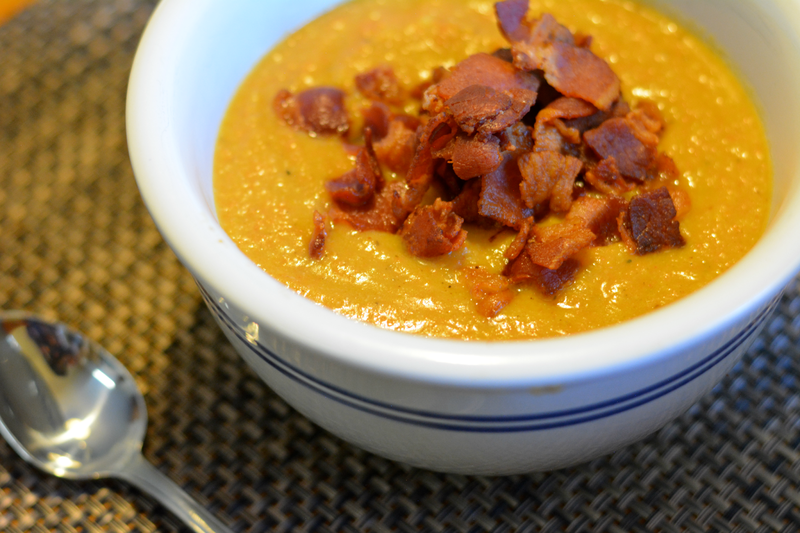 I did something really special here with the Cauliflower and Carrot Chowder. It's hearty and flavorful. Slightly sweet and savory. It can be vegetarian or not. Best part. It was easy to make in my slow cooker. When I buy ingredients for a specific recipe, I'm sometimes left with extra that I don't want to waste. I had a recipe that called for a few pieces of bacon so I was left with more than half a pack left. We tend to eat out on weekends when it's ok to gorge on bacon. 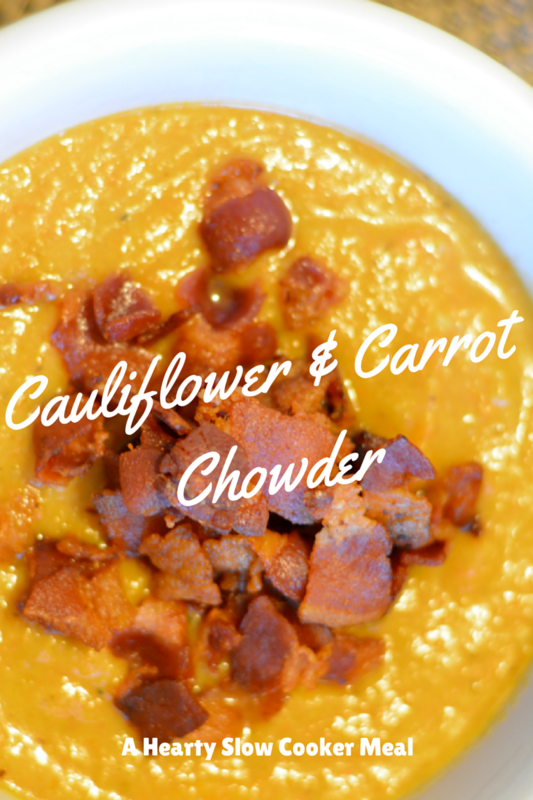 Instead of letting it spoil in the fridge (bacon ain't cheap), I topped the chowder with it but you can omit it and make this dish completely vegan. I set out to make this yummy Pinterest Cauliflower Chowder but I realized I had some miscellaneous carrots laying around and decided to just dump the whole bag. I used a potato as a thickener in the soup instead of flour. 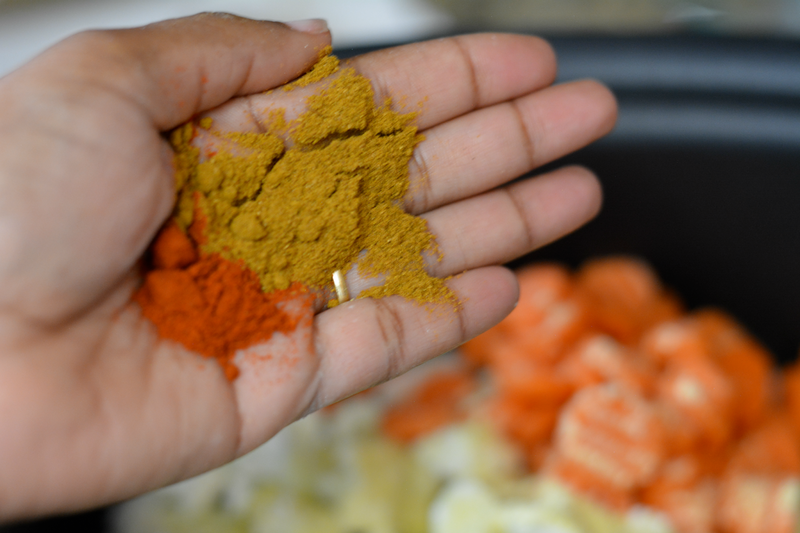 I love heavily spiced meals so I added a generous amount of curry powder and smoked paprika. Once it was done I blended it up to make it smooth. You can leave it chunky or do a combo if you like. Happy the detours made for a very delicious meal. 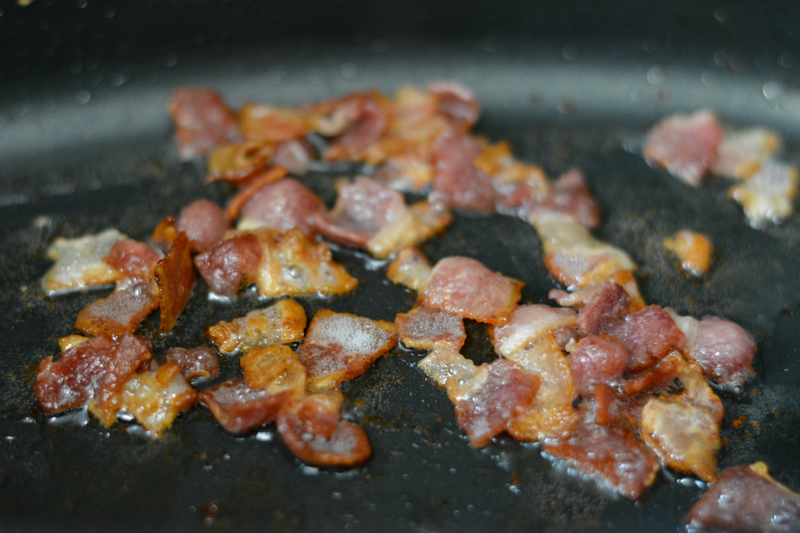 Cut bacon into 1 inch strips and fry until desired crispiness. Set aside. 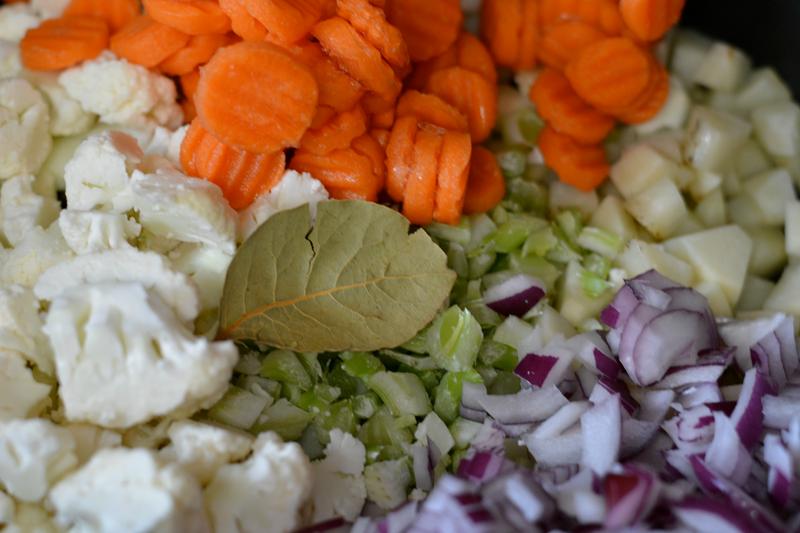 Dump the rest into your slow cooker. Cook 6 hours on low. Blend some or all for a smoother texture. What's your favorite hearty soup? Get your comments in to win a $25 Walmart gift card. Giveaway ends Sunday! Mmmmm that looks great! I've been looking for some no meat options to serve my kiddos and broaden their horizons.